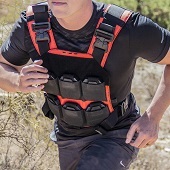 AR500 Armor® Level III+ ASC Body Armor 10" x 12"
Please Note: As of 11/24 our Patented ASC Level III+ Body Armor now ships with our lighter more agile ASC cut to reduce loadout weight and increase user mobility. I got my level III+ front, rear, and side plates today. Love it, and great customer service. From ordering to recieving it took about one week even though the lead time was listed at 3 weeks. Came securely and neatly packaged. Nice to know my armor can stop armor piercing rounds. Review from Phil K. Review by Phil K.
Excellent product! Everything is exactly as described and I could not be happier with my purchase. The plate measurements were exactly as described and they fit like a glove in my plate carrier. It took awhile to receive the product, but the estimated delivery time was accurate. It was well worth the wait, however. Highly recommend company and product. Well finished, I got optional build up and it was thinner that I expected, but it seems to match the thickness they have listed on website. I hope I never test them, but it's nice to know the will stop most rifle calibers, so a pistol round at the range so not be a problem. I love your products, just hope I never have to use them. 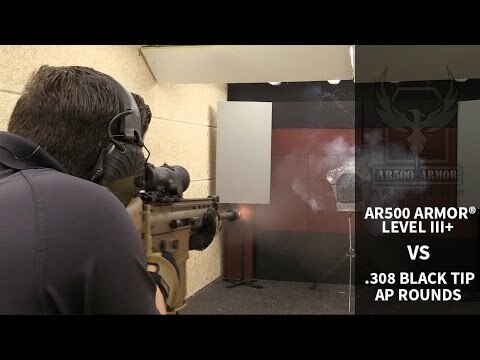 You're reviewing: AR500 Armor® Level III+ ASC Body Armor 10" x 12"
AR500 Armor® Blunt Force Trauma Pad - 10" x 12"
AR500 Armor® Level III+ Side Plate Body Armor 6" x 8"